Consumers use hundreds of different mobile apps to plan and shop for groceries. While it’s great news for shoppers who want choices, the broadness of the landscape can make it a bit difficult for CPG and grocery advertisers to keep track of what’s available and what makes each grocery app unique. Pulled together based on app ratings, user experience, and advertising opportunities, here’s a guide to navigating through some of the best mobile grocery apps available today. An app built to keep track of shopping needs and make managing a to-do list simple, Out of Milk boasts the #1 most used Android shopping list and has quickly become a leading player in iOS as well. Out of Milk helps consumers keep track of shopping needs, pantry inventory, and manage to-do lists and grocery lists. With voice activation capabilities through both Alexa and Google Home, Out of Milk also makes hands-free a snap when working in the kitchen, creating to-do lists or referencing a favorite recipe. Another app that makes grocery list building easier for consumers, Listonic has seen great success, in both Andriod and iOS, in making their user experience impressive, seamless and functional. Listonic is especially great for families trying to coordinate busy schedules, add items from anywhere and quickly sync or share lists with multiple individuals. Listonic supports web, phone, and smartwatch making it super easy for consumers to connect to their list from anywhere, anytime. Also included is a take your own photos feature and budgeting feature. A health-conscious, diet-supporting app featuring a comprehensive grocery list function, Fooducate has created a health-friendly experience that helps consumers organize their pantry and refrigerator in a meaningful way. Unhealthy products not welcome, but if you bring your healthy food brand you can easily land on consumer shopping lists. Fooducate combines organizing for grocery shopping and achieving dieting goals. Yet another grocery shopping list app, Our Groceries has garnered high ratings for both iOS and Android with its ease of use, straightforward user experience and instant synchronization across all devices in a household. Our Groceries features include multiple shopping lists, a web interface, and recipes to help inspire creativity in the kitchen. In addition, track items with a photo making it easy for all family members to know exactly what item to purchase when in store. Shop your favorite retailers, capitalize on deals and offers and build your grocery list all in one app. SavingStar makes it easy to save on CPG products and does a wonderful job recalling what consumers’ favorites are. SavingStar brings “hassle-free grocery rebates”, no clipping, printing or mailing. 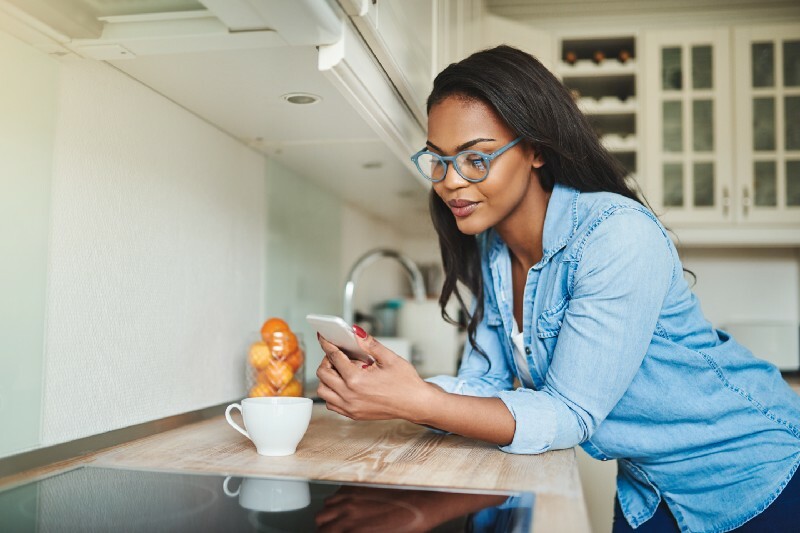 For consumers, the setup process is super simple; link your preferred store card, select your rebates and use your store card at purchase and all your savings will be added to your SavingStar app ready for redemption at consumer convenience. BigOven’s mission is to help home cooks get inspired and organized, in the kitchen and on the go. Developed by home cooks themselves, BigOven was the first recipe app for the iPhone, iPad, Android, and Windows Phone. BigOven not only has amazingly delicious recipes for consumers to sort through but also has a great grocery list and meal planning feature. Meals are never boring with BigOven. BigOven allows consumers to easily add promoted recipes, reference recipes from anywhere and plan menus for any type of meal. With over 500,000+ recipes, BigOven features unique innovations like RecipeScan, which transcribes recipes, and the handy “Use Up Leftovers” feature. A simple, yet powerful, strictly grocery shopping list app, BuyMeAPie is a great grocery shopping tool for singles, small and large families. BuyMeAPie brings consumers a simple, elegant and consistent user experience making grocery shopping easy. Consumers can manage their lists from their phone or computer and sync lists to multiple devices. Advanced features remind you to buy and/or replenish certain products and search functions recall previously added products. Any.do is an award-winning app used by millions of people to stay organized and get more done. Above and beyond just grocery lists, consumers can easily organize tasks, lists, and reminders in one easy-to-do app. Any.do has an amazing user experience, is simple to use and syncs seamlessly across a multitude of devices, making to-do lists accessible everywhere. With smart reminders, beautiful user themes, and turbo-charged features, consumers can rest assured that they will save time with Any.do. With a streamlined grocery shopping experience thanks to Any.do’s smart grocery list, consumers can sort grocery items automatically, easily import online recipes and share lists with family members. A cash back, coupon and rebate minded app, if you’re focused on reaching discount consumers Ibotta is a great vehicle for this type of strategy. Ibotta promotes coupons, discounts, and cash back offers to consumers for various products. To redeem consumers must upload a photo of their receipt, connect a loyalty card or purchase directly from Ibotta to prove purchase. The Cozi Family Planner app takes it up a notch and not only offers grocery and meal planning features, but also helps to coordinate and communicate family schedules and activities, manage to do lists, plan ahead for dinner, and just keep the whole family on the same page. The grocery list feature being one of the more popular grocery lists, Cozi offers the ability to add from recipes, synchronize across devices, voice activate through Alexa and track all your meal planning ingredients as you shop and plan out meals. While it can be challenging to identify which apps to advertise or participate in, this top 10 list provides meaningful direction and guidance for the mobile grocery list app space for the CPG-minded advertisers. All of these apps offer excellent advertising opportunities specifically centered around CPG brands and retailers. Add-to-list® is a primary feature of all the AdAdapted network apps, providing a straightforward avenue to tracking and understanding consumer intentions, tracking purchase intent and promoting sales. Also included in their mobile ad offerings, a few of the AdAdapted network apps boast a simple keyword intercept solution to intercept shoppers and present promoted products when searching keywords to add to their grocery list. If you or your brand is interested in making your way into the mobile grocery list app space please reach out to AdAdapted and learn more.